Roebil House is in a fantastic location. 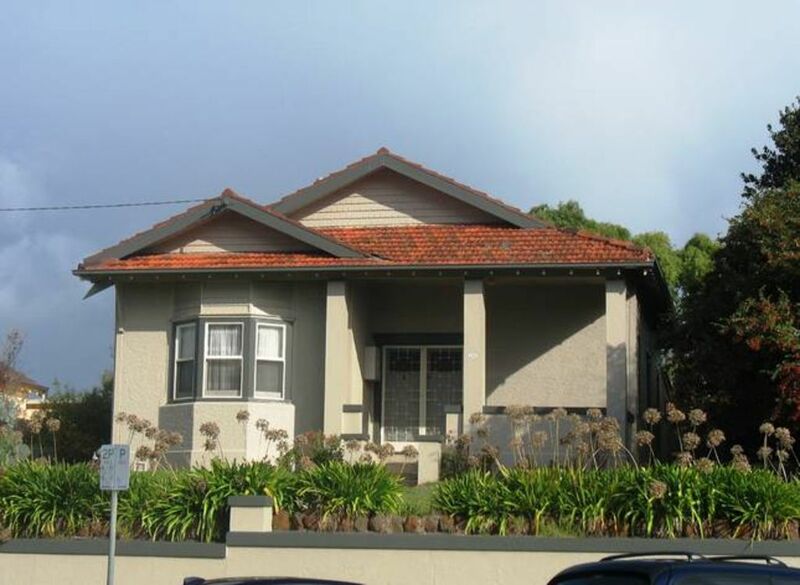 Located right in the heart of town, in and amongst the shopping and restaurant precinct. Come and stay in comfort ... with that flash of retro. Roebil House is a charming sandstone period home, that has been furnished with style, reflecting it's era. 3 Bedrooms - Sleeps 6. The main bedroom is a Queen bed, the 2nd room has a Brass Double bed, and the 3rd bedroom has 2 Single beds, one of which is a King single. All linen & towels are provided, which is inclusive in the price. All bedrooms are large with their own wardrobe. Perfect accommodation for friends and/or family. We have been hosting guests for over 10 years now, we keep improving the property and are pleased that people keep on coming back year after year. - New gas log fire heater in original fireplace, complete with child safety barrier. Very cosy on a cold night ! - Kitchen/Dining Room .. Very cute & very retro !! - 3 Bedrooms - Including Queen, Double, King Single and Single beds. Each bedroom with their own wardrobe. - Outdoor Area .. complete with outdoor setting. - Plenty of Off Street Parking for multiple cars ... this is a real bonus when staying right in the heart of town. - Secure, very spacious backyard which is child friendly. 20% Deposit to be paid via direct debit to hold booking. Remaining of payment to be paid prior to arrival. Cheque and credit cards not excepted. Thank you. Long Weekends, Public Holidays, Easter, May Races, Fun4Kids Festival, School Holidays, Cycling Classic. If you cancel 14 days or more prior to your check-in date your deposit will be refunded less an admin fee of $30.00. If you cancel less than 14 days prior to your check-in date you will not be liable for refund. The house was very comfortable and the heating was very good as it warmed the house quickly. This property is working distance to most attractions, the movie cinema and the shops. Great family escape with fab location. We enjoyed our stay here. When we arrived half the back gate was missing ....making it not a "fully secure backyard" for our children to play in....which was our only gripe. The kitchen and loungeroom was very cute and we loved the retro look. Lovely warm heater for the cold nights too. It was comfortable and walking distance to most things we needed to get to. Was a lovely few days escape.